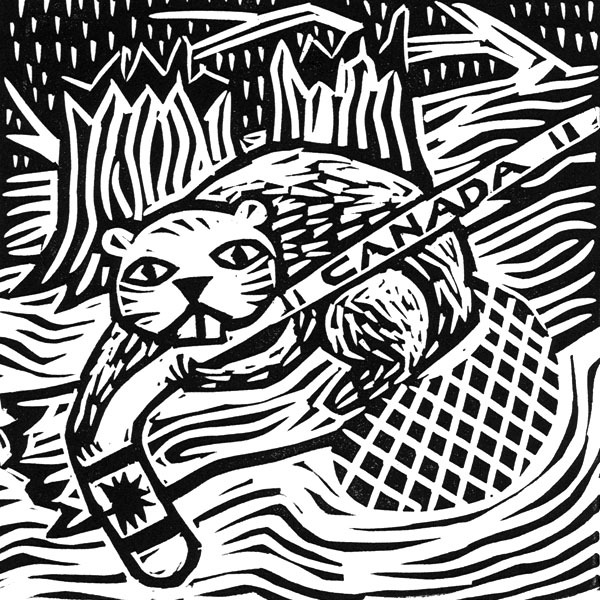 For my 2014 holiday greeting card, I repurposed an image from a series of Canadian animal icons that appeared in the Ottawa School of Art’s biennale mini print exhibition. 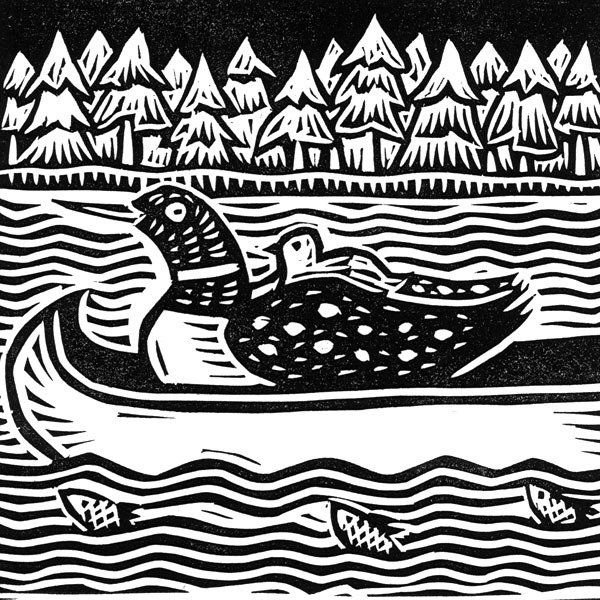 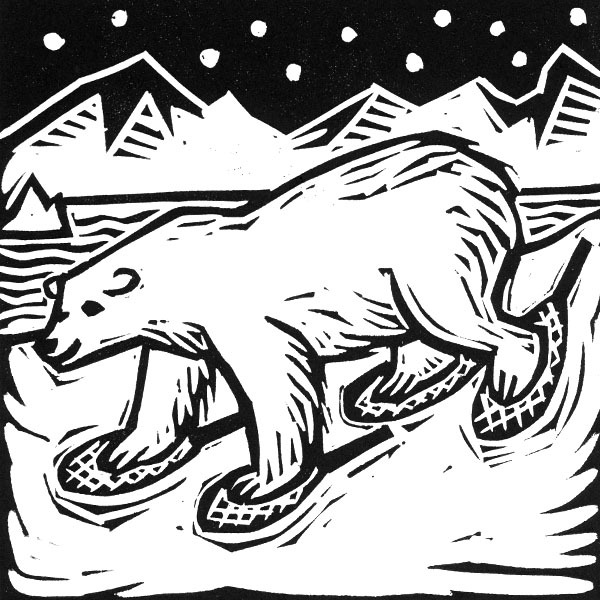 The originals are black and white hand carved linoleum prints, 4″ square. 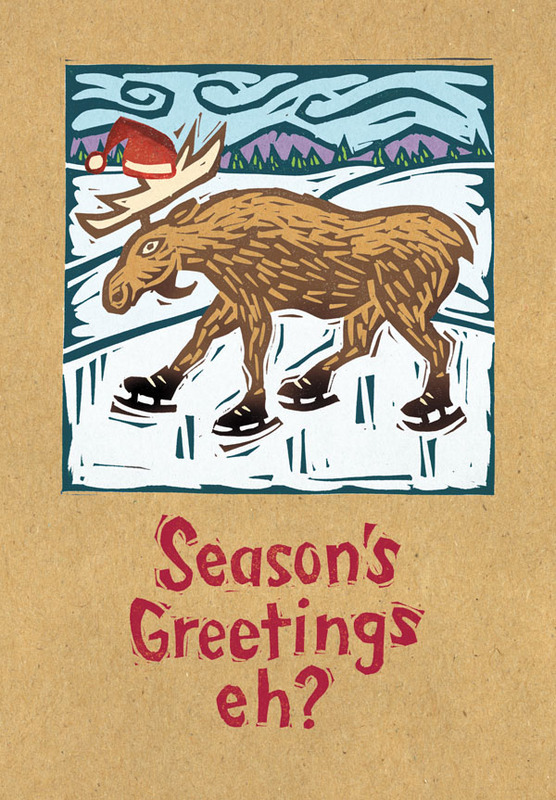 To make the card more festive, I added colour to the moose in Photoshop.